Dr. Ram Autar was burn on 10th dec. 1948 in the house of Shri Jagdish Prasad Sharma in the village Darauli District Rewari in Haryana. He obtained his primary education in the village itself and passed his Matric from Shri Krishana High School, Kanwali. Thereafter he came to his father in 1966 in Delhi. He worked for One year in a private firm and joined Income tax Department in 1967 as a daily wager. He has been very hard working and dedicated worker. He reached from Matric to Ph.D and from a daily wager to a Gazetted officer. He retired as Assistent Diractor (01) on 31/12/2008 from Income tax office Delhi. His articles were published in different news papers and magazines. He has performed very good work as advising editor of magazine Bubbar Sher, Published by wwf and as an artist in yuva vani of all India Radio. He has been honoured many times as artist in one act play and singing. The Chairman of Central Board of Direct taxes honoured him, for performing special duty in Income tax raids. He has performed magnificiently in serial 'Jahn Jahn Ram Charan Chali Jhahni' in shooting, editing and writing. In his life Lord Parasuram Kund in Kurukshetra has special Importance. 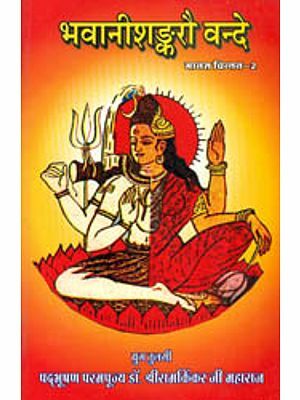 He has been devotee of Lord Shiva from his childhood. In the age of five - six years in a Shiva temple he has intution to see the places visited by Shri Ram during his exile. When he tried to inquire about these places from the elders and his teachers and he pressed again and again for this, the people took him to be on imbalanced mind. He came to Delhi and joined Government service and he forgotten his own resolution with his family liabilities. By the kind grace of God he again reminded his resolution 1980. He has travelled almost whole of India on foot, by cycle, scooter, bus, and through Rail. He travelled from Ayodhya ji to Chitrakoot, Madhya Pradesh, Jharkhand, Chhatishgarh, (Jagdalpur), and from there up to Nagpur by bicycle. He has travelled by scooter from Ayodhya to Mau, Azamgarh, Buxer, Patna, Dharbhanga, Janakpur, (Nepal) Sitamarhi, east Champaran, Gorakhpur, Ayodhya and up to delhi. Considering his dedication towards Indian culture, Government of India, Ministry of culture assigned him a project 'Vanvasi Ram and Lok Sanskriti' and also assisted him financially. The Income tax Department sanctioned him study leaves for two years. He is very much obliged to the citizens of India as he got support from all over India irrespective of caste, religion, area, language and politics. Considering his work, Dr. Ram Autar was invited by many countries to presents his research papers. In this regard he travelled England, America, Nepal, Switgerland, Nidherland, Gerrmany, Balgium and France. During the journey his life was in danger many a times. He had to face wild animals, dacoites and Naxlites during his search. He lived without water and food several times. People thought about him as a saint, beggar and even the mad man. He was detained by the dacoites and police many times. But he feels that he was saved from all difficulties by Hanumanji. 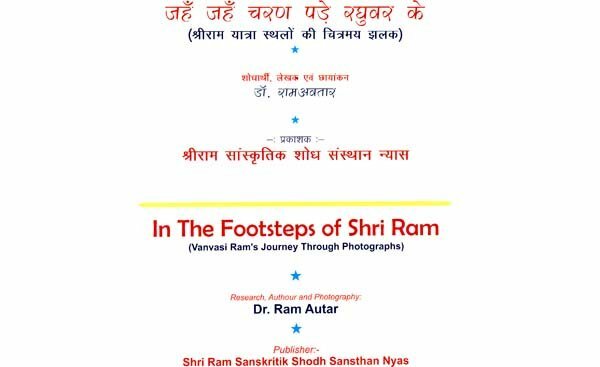 He has devoted his life to search protect and develop the places of Shri Ram's Journey. Even today his efforts to search Shri Ram Journey places is still continuing. 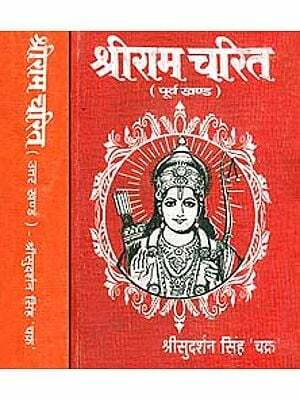 Years ago, when I was read in the Ramayan, I felt a strong urge to know more about Shri Ram's life in exile. 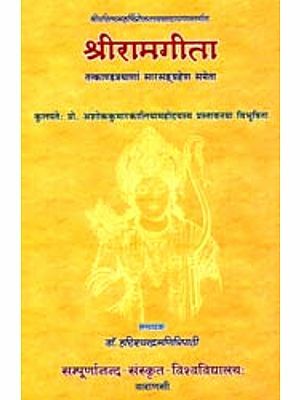 Adi Kavi Valmiki and Saint Tulsidas both had presented descriptions of this part of Shir Ram's life which was unique. But still, my curiosity was not quenched. I always thought- What did he do when it rained or when it was hot, how did he fight the animals, how did Mata Sita, who was a caressing daughter of her father and a royal princess, walk on the rocky terrains in the forests, what did they eat and so on. "Ram and Lakshman both brothers on exile, they pass through jungles, and while passing through the third one, they become thirsty, sita's penance brings the clouds and it rains heavily, filling each pond, lade and water body, Lakshman fills water and now, they drink it in shade of trees..."
I wept about Shri Ram's life in exile. Even today, I feel emotional whenever I think about it. I always read the Ramayan given to me by sister to pacify myself, yet found no answer to make my disturbed mind to come at peace. When I grew up and came to Delhi after passing, my school education, I forgot all about this and got engrossed in the worldly affairs. But my reading of the Ramayana continued. One day, with Shri Ram's grace, I felt that if I followed Shri Ram's tracks through the forests, I may be able to get a firsthand experience of the life spent. Although those ferocious animals and tough terrains may not be there now, yet something would be similar. But then, the problem was that where , should I go. I thought of exploring Shri Ram's exile route. Day by day, the thought became stronger and I continuously read the Ramayana. I got in touch with saints, scholars and pandits and searched it through books, but found no answer. Finally, I decided to take leave from my office to collecte information. Now the problem of leave and finance arised. Friends offered me financial support but a long leave was a problem. But as luck had it, the Cultural Department of the Ministry of Human Resources Development accepted the project - "Ram's exile and Folk culture'. This solved both my financial problem as well as, the problem of leave as I was granted two years leave. I was happy, but knew that two years were not sufficient and one needs many lifetime work. I worked on the project and along with, I also kept my basic aim of searching Shri Ram's exile route alive. Hope and despair kept playing with me, as I met many scholars. Some told me that this is all a myth, while others called him a Maryada Purshottam, some even called him an incarnation of Lord Vishnu while others felt that he himself was the supreme power. I was confused. All the events were supposed to happen between the duration of 3000 years to 9,84,000 years. Modern scholars opined on a different time period altogether. The modern scholars have raised a dispute over Shri Ram's exile route. Some take it to Madhya Pradesh, while others include Maharastra as well. Some take it to Orissa and Andhra Pradesh too while others say that Lanka was in Mumbai. Some even add Java, Sumatra and Indonesia into the route. For years, I kept searching museums for more factual information. My search brought me to Ayodhya, The birth place of Shri Ram. Here too, I met over a 100 scholars and saints to decipher the exile route. After spending five days, a saint finally took pity on me. His blessings and kindness paved way for my explorations. He advised me, "The people whom you are asking know nothing of this world and you are going mad. Those who know the truth don't live in these towns and they will not tell you. So find your own way. Take strength from Shri Ram and you will find a way." When I asked him how, he said "devotion has no arguement." I was overwhelmed by the saint's simplicity and stared at his face without blinking an eye. I now knew that all my confusion had gone off and I had wasted too much time on following the advice of scholars. The saint's words kept pricking me - "You have no faith in Ram ji". I had been a fool because instead of looking at the sun I was following its reflection in water. Now, I saw the saint happy. He continued, "Chitrakoot is around 350 kms from Ayodhya and following the old route is not possible. If you cover all the sites, it will be around 500 kms. The Bharat kund and Nandigram are around 18 kms and then you have to come back 2 kms. I will tell you the route upto 7 kms. Visit Bharat kund without fail," and I decided to do so. I continued to search. Some laugh over this, others call me a fool and some believe in my faith. The answer is in your hands. I wasn't aware of the difficulties which could arise in my route. During my travel, at times. I was in danger, but I got respect and love too. I met rulers and dacoits, I was threatened by followers of Viradh and even had food with dacoits. At times, I feared losing my way or becoming prey to animals. But the saint of Jalapur gave me protection. The Sidhh saint Mauni Baba of Tathi ghat prayed to Lord Shiva to guide me. I was astonished to see that wherever I went, my food and stay, along with the route, seemed pre- planned. Initially, the saints behaved with me in an irrational manner but now, they supported me. People took me to be a saint and respected me. I always thought that it is God's grace that the project has come to me. A 108 year old man came to see me with support of three people, to seek my blessings. I felt ashamed and embarrassed. The Ramayana tells us that Shi Ram conducted a big journey under the guidance of the saints. At Prayag, Saint Bharadwaj told him to go to Chitrakoot. He sent four pupils for guiding. Maharshi valmiki tells him to stay there as Ravana's brother Khar's men had reached Chitrakoot. From here, Shri Ram goes to Rishi Atri's ashram from where he goes to Viradh's region. Here on, he moves to Rishi Sharbhanga's Ashram. From the ashram to the Siddha mountain, Shri Ram had 26 ascetics with him till he reached Rishi Sutikshan's ashram. When he goes for the Dandanka travel for 10 years, he was accompanied by Dharmabrat and other saints. On return, Sutikshan ji sends him to Rishi Augastya and his brother's ashram. He then goes to Panchvati where he fights with Khar. Even after Sita's abduction, he was guided by Rishi Kallol and others. Rishi Augastya even went to Lanka with him. Thus, it proved that Shri Ram was guided by saints all his way. Some learned people ask for proofs of these routes and places. They ask what did I find in the excavations. How old are the utensils or the coins? Which historian has approved of these places. I felt like laughing at this all. Dr Swaraj Prakash Gupta's words come to my mind. He said that we archaeologists believe that Mahabharat happened 5000 years ago and Ramayana 3000, years ago. But we cannot explain that how Ramayana's characters have been mentioned in Mahabharat. Then what should be the basis? The basis are the beliefs of the masses and the folk lores. These beliefs can neither be destroyed like temples nor the historians could make them unbelive. These beliefs cannot be burned down like the libraries of Nalanda or the Taxila university. These are a part of our heritage and are still protecting our Indian culture - generation after generation. The world believes in the stories of Manu and Shraddha and Adam and Eve, Adam and Howwa but not asks for their proofs. No historian or archaeologist tries to prove them wrong by calculating the time schedule. Then why Shriram? Shri Ram's story has been given in detail in our old scriptures too. His name influences us from early morning to the bedtime, from birth to the last breathe saying "Ram name is the truth alone' at the death bed. Not just from Kashmir to Kanya Kumari, but in the entire Arya Bharat, Shriram's name has a deep influence. It is a belief and a tradition. Even half the world believes this. Then why irrelevant arguements or unnecessary questions about him? Sign of the Route : The route discovered has not been found by sitting in the libraries. It is the beliefs of the people who live at those places after roaming across towns, villages, cities and jungles. Some beliefs have disappeared but it is the duty of the researchers to grasp the subject. One needs to be a wanderer to compile all this. A route formed after these sites are marked on the map matches with the descriptions in the Valmiki Ramayan. 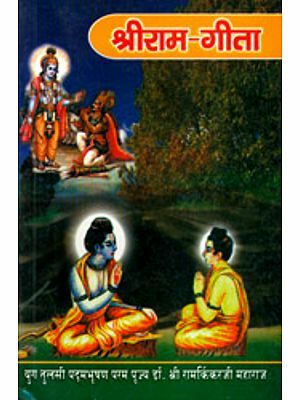 Shriram went to the Sutikshan ashram from Ayodhya. He stayed at Chitrakoot, travelled across Dandkaranya for 10 years after meeting Sutikshan ji. He went to sages ashram's and wherever he found benevolence, he went repeatedly finally returning to Sutikshan ashram. It seemed impossible to find the entire route as names of some sages and ashram's are not described. Both Valmiki and Tulsidas too have not given complete descriptions. (Please See Valmiki Ramayan 3/11/23 to 27) After Sita's abduction, the route becomes even more difficult as Valmiki's description of the route from Kishkindha to Rameshwaram seems difficult to decipher. Ram said to Neel the commander- "Senapati Neel! Guide the whole army through a path where the food is in plenty and dense forests offer cool shade. There is enough water and honey too." The route talks of mountains but they are all scattered. I found many ashram sites on my route. Which one did Shriram visit? Did he visit one and all. No hints are found. Which Ashrams are original? It is possible that perhaps all Rishis had many branches. And all these ashrams had been a seat of culture, research and learning. Hence, there are so many ashrams of Valmiki, Sharbhang, Bharadwaj and Augastya.